Perks N Peeves: New Charity Pet 2018 - Whomper! New Charity Pet 2018 - Whomper! 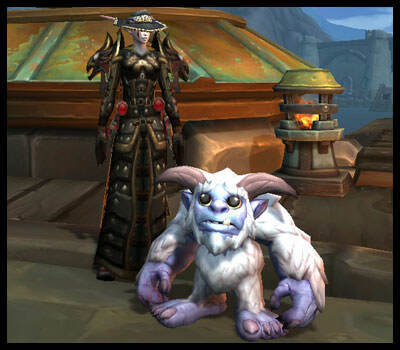 I haven't made a blog post in a while - most of the new/news stuff lately goes onto WarcraftPets, so I felt it was a bit redundant to also write a personal blog post about it. But today is a special day, BlizzCon 2018! And they JUST announced and released a new battle pet! Whomper! Whomper is this year's charity pet, with 100% of the adoption fee going to Code.org (through December 31, 2018). It's a nonprofit organization that focuses on computer science in schools and increasing participation by women and minority groups. There is also a separate Whomper plushie that you can buy! Proceeds from this toy will also be donated to the nonprofit organization listed above. We'll have to wait and see how much this pet (and plushie) raise for charity. For a full list of previous charity pets (and toys), here's an updated list from last year.